The medical literature is full of erroneous articles classifying gunshot wounds based on bullet velocity. 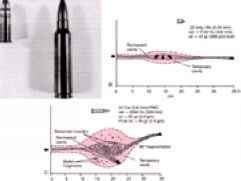 Other bullet and tissue characteristics are at least as important as velocity.67 and 8 Bullet mass, which is related to diameter and length, is a major determinant of how deeply the bullet will penetrate tissue. 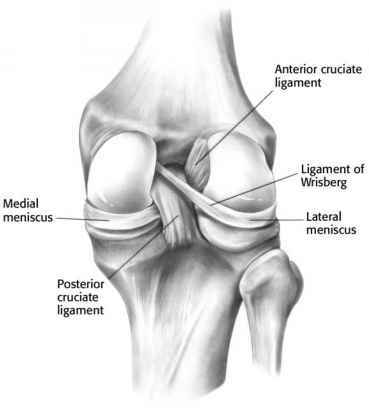 Bullet construction (such as whether the bullet is solid lead with no bullet jacket, is partially jacketed, or has a full metal jacket) is a primary determinant of whether the bullet will deform or fragment. Bullet shape and center of mass (which determine how soon it will yaw in its path through tissue), the thickness of the body part wounded (determining whether the bullet has a long enough path through tissue to deform or yaw) ( Fig... . . .256-1), tissue type struck (e.g., femur versus lung), tissue elasticity, density, specific gravity, and internal cohesiveness [which determine how well the tissue will withstand tissue stretch (temporary cavitation) forces] are all important, in addition to bullet velocity, in determining the nature of the wound produced. The amount of kinetic energy "deposited" or "retained" in a victim wounded by a projectile is not a reliable predictor of wound severity,9 and muzzle energy is not a reliable indicator of bullet performance.